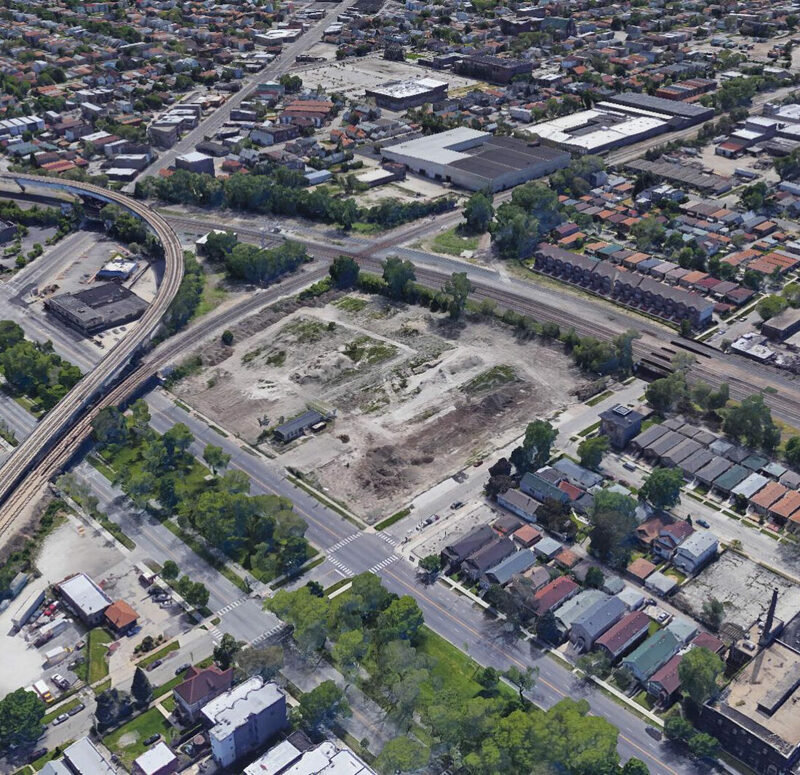 Project is located at the SWC of S. Western Ave. and W. 38th St. in the Brighton Park neighborhood of Chicago. It originally was a truck distribution terminal bounded to the south by the Canadian National Railway and to the west by the Chicago Junction Railway. CEG responsible for site boundary and topographic surveying, coordination with owner and owner’s attorney on entitlement and re-zoning, preparation of land planning and lot layout for various site options to maximize marketing potential, preparation of final engineering design, cost estimate, subdivision, utility easement and access easement preparation, public alley design, 500-foot public roadway extension for S. Artesian Ave., ComEd utility pole coordination to provide electrical service to development, permit approvals from various City of Chicago Departments including Water, Sewer, Maps and Plats, CREATE and CDOT. CEG also will be providing site construction staking services including underground utilities, grading, public sidewalk and curb, garages, alleys, building foundations, foundation location surveys, as-built surveys used for property closing and site monumentation / property corners.